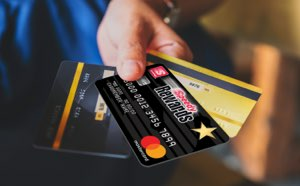 At Speedway, we are proud of our success at meeting the fueling and convenience needs of over two million customers every day, and proud of the reputation of our good name within the communities that we serve. Our success also stems from our ability to understand people’s needs. We recognize that there are many gas and convenience store choices, and that nothing less than outstanding service, a wide selection of products, and real value for one’s dollar will attract loyal customers. More than anything, what Speedway offers is convenience. For us, bringing a bit more ease and simplicity into the lives of our customers is our greatest success. If you would like to share any comments, positive or negative, please do so by contacting our Customer Service Team. How does Speedway ensure that every one of our approximately 2,740 stores meets its customers’ fueling and convenience needs, 24/7? It wouldn’t be possible without a core dedication to serving people—people who simply want friendly, prompt service, a wide selection of products, and good value for their money. This commitment is exemplified by our Speedy Rewards program. 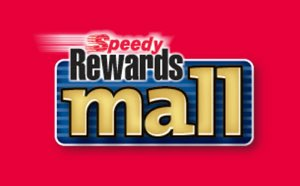 Speedy Rewards is our way of saying “thanks” for being a loyal customer of our stores. It costs absolutely nothing to become a member of Speedy Rewards. Through your purchases of fuel and merchandise, you will earn points that can be redeemed for gift cards or free merchandise. 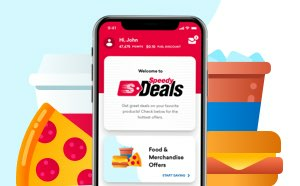 Speedy Rewards also includes “club” programs—providing you coupons for a free beverage or additional bonus points when you make a prescribed number of purchases of our food service offerings. I encourage you to stop by one of our stores today and enroll as a Speedy Rewards member. And Speedy Rewards members should take advantage of the added features of Alternate ID and Pay Card. It's fast, it’s easy, and best of all, it’s free! At Speedway, we hire and develop people who are able to embody our core dedication to serving people, and who in turn hire more like-minded individuals. It’s a recipe for success that ensures that all Speedway locations meet your expectations as our valued guest. We have a dynamic, diverse work force, with a drive and commitment to excellence that helps us maintain a leadership role within our industry. We offer a wealth of opportunities with significant advancement potential to anyone who enjoys working with and serving others, who embraces diversity and innovation, and who has a strong commitment to being the best. If you’re looking for career opportunities, I encourage you to apply. Quite simply, you’ll be joining the best team in the business! Speedway is also committed to community involvement. We are the largest contributor within the convenience store industry to Children's Miracle Network Hospitals. In addition, our corporate headquarters works hard throughout the year in contributing to the United Way. Both of these organizations are important to Speedway in that the funds collected stay within the communities in which they were raised. We realize that you have many choices in the gasoline and convenience store industry. For those of you who are regular customers, we sincerely appreciate your business and pledge our continued commitment to making your trip to Speedway a friendly experience, with fast service and clean facilities. For those of you who have not visited one of our stores, we extend a sincere invitation for you to experience the Speedway difference. With headquarters in Enon, Ohio, Speedway operates in 22 states: Connecticut, Delaware, Florida, Georgia, Illinois, Indiana, Kentucky, Massachusetts, Michigan, North Carolina, New Hampshire, New Jersey, New York, Ohio, Pennsylvania, Rhode Island, South Carolina, Tennessee, Texas, Virginia, Wisconsin, and West Virginia. With approximately 2,74 0 stores located in 22 states, Speedway is the nation's second largest company owned and operated convenience store chain.